Uncooked Pizza On A Shovel. Description: Uncooked pizza on a shovel. 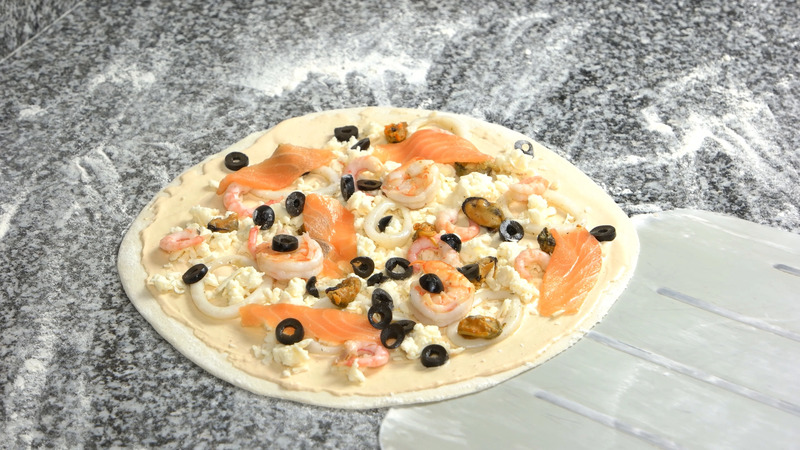 Shrimps, salmon and olives.